Architectural DigestItalian has a distinctively Italian flavor that provides an insider’s look into the homes and architecture of Italy and beyond. 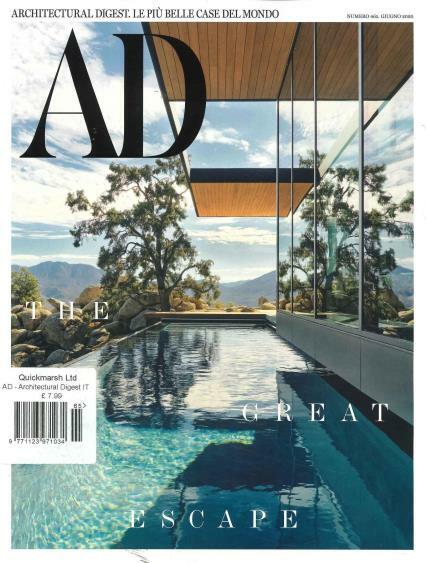 Buy a single copy or subscription to Architectural Digest Italian magazine. There are profiles of architects and designers, pictorial displays of the homes of the affluent, and articles on the history of architectural design. Architectural Digest, the Italian edition has a distinctively Italian flavor that provides an insider’s look into the homes and architecture of Italy and beyond. Get insights on the history of Italian architecture through the eyes of Italian writers that live there. Find interviews with artists and designers that typify the European look to architectural structures - that may never make into the American version of Architectural Digest. See the latest in contemporary design in the interiors of homes in Venice, Florence and the wine country of Italy.